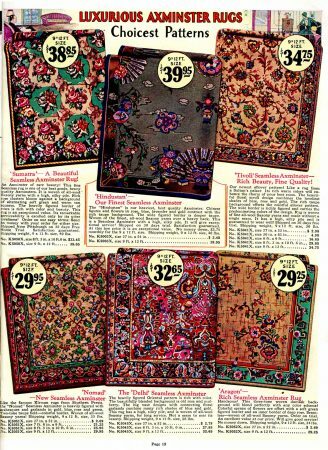 Watch Antiques Roadshow for an episode or two and someone is bound to show up with a lovely and pricey vintage Persian rug, woven beautifully from handsomely-colored yarns. They’re worth a lot of money today. 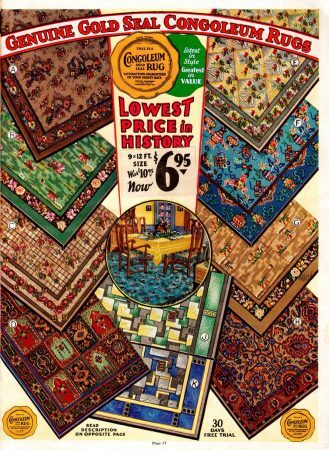 And woven rugs weren’t cheap in the Depression either. So if you couldn’t afford such a rug or the care it required, then you could get a a “Congoleum” rug for one-fifth of the price. 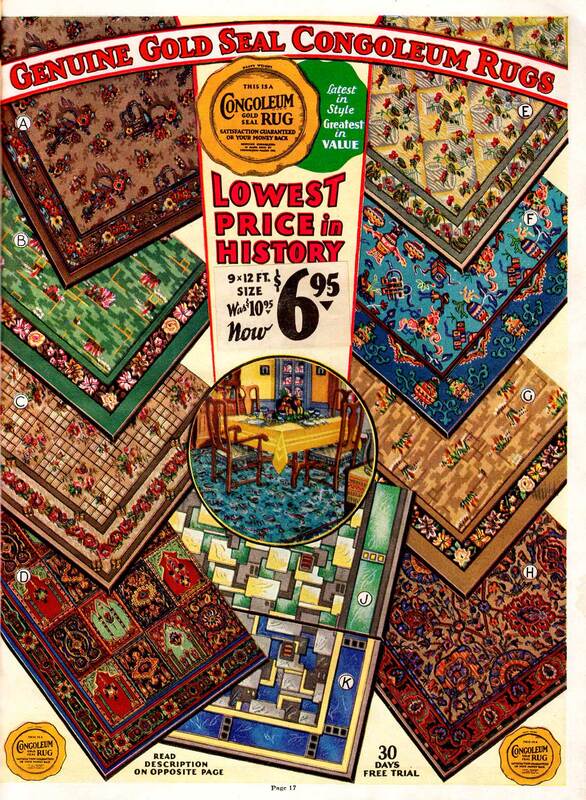 But basically, we’re talking about a plastic “rug.” If not soft to walk on, it was at least long-wearing and spill resistant. it could be “cleaned in a wink with a few storkes of a damp mop.” And did we mention it was cheap? And you could get some novel designs. 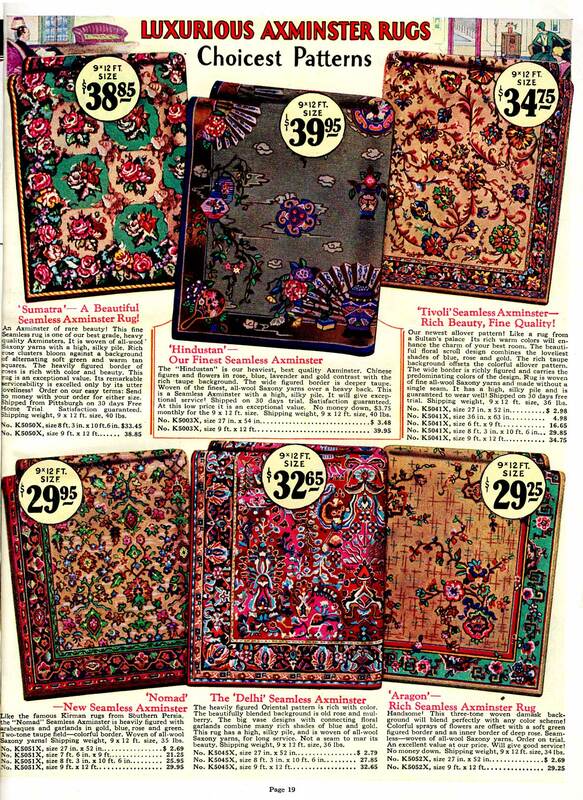 Zoom in to see those two Art Deco patterns at the bottom center of the page. They would probably fetch more than $6.95 on some future episode of Antiques Roadshow.